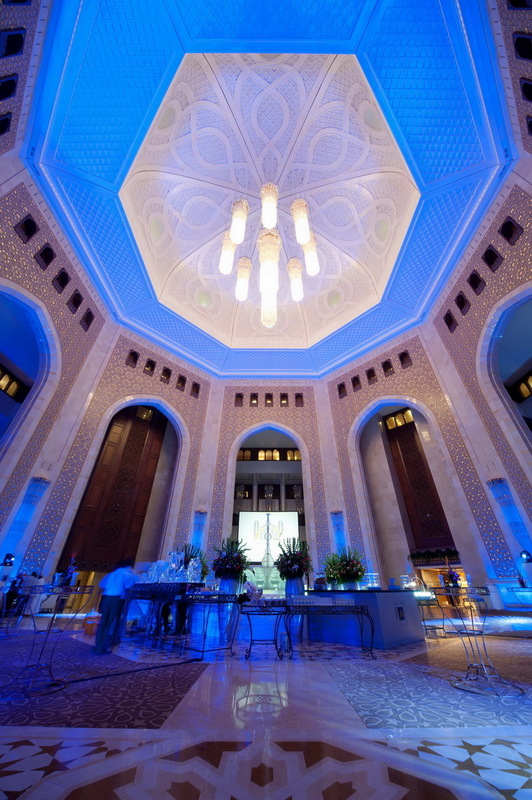 Celebrating 40 years of HH Sultan Qaboos' reign, and 25 years of the InterContinental Hotel at Al-Bustan Palace in Muscat, Oman. 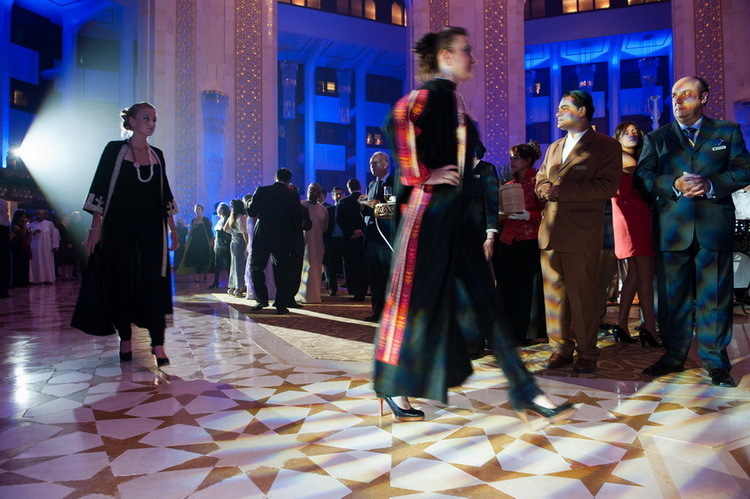 We were delighted to be invited to the Al-Bustan Palace Hotel, in Muscat, Oman in 2010 to showcase our jewels and our abayas in a marvelous extravaganza that was attended by over 1000 guests who came to celebrate 40 years of rule of HH Sultan Qaboos and 25 years of the InterContinental at the Palace. Our models did a wonderful show, in the magnificent setting of the Lobby, as guests marveled in the atmosphere of elegance and jubilation.